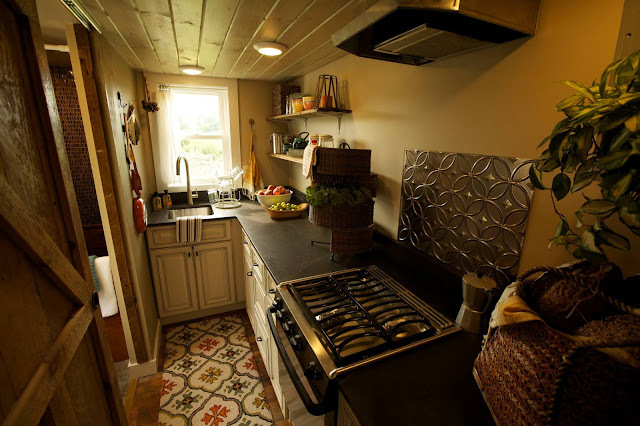 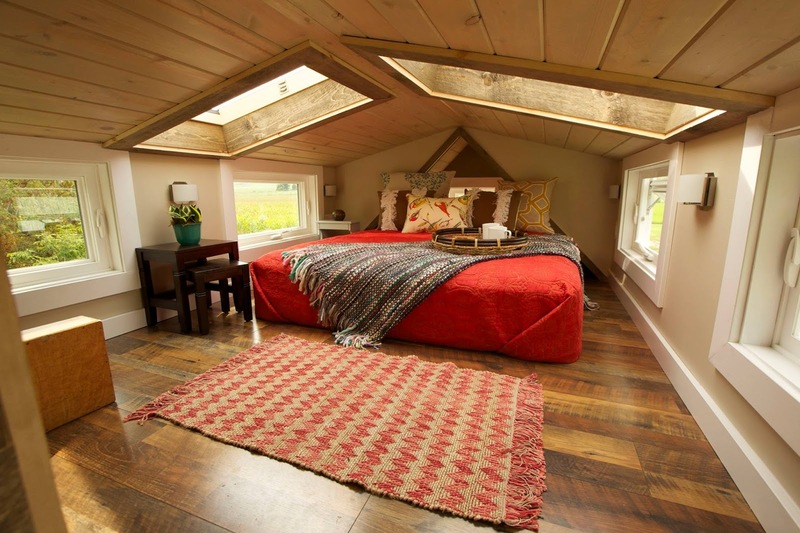 A beautiful tiny house by Wishbone Tiny Homes of Asheville, North Carolina. 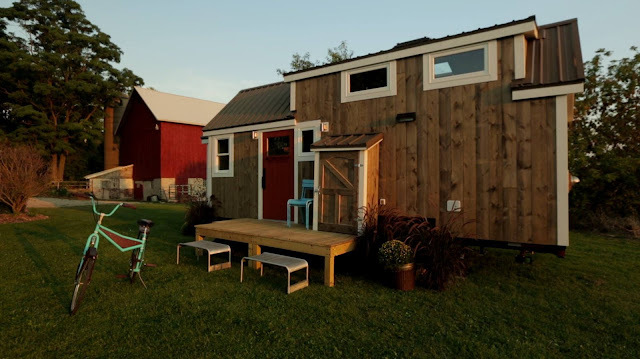 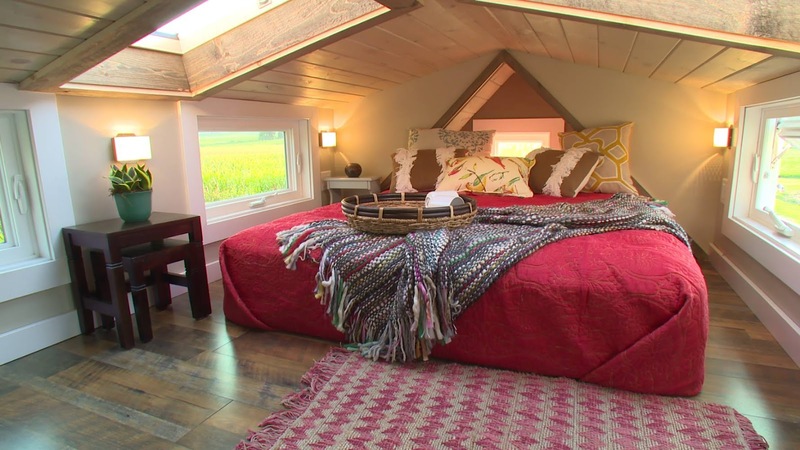 Named the “Watertown”, the home was built for an episode of the hit show, Tiny House Nation. 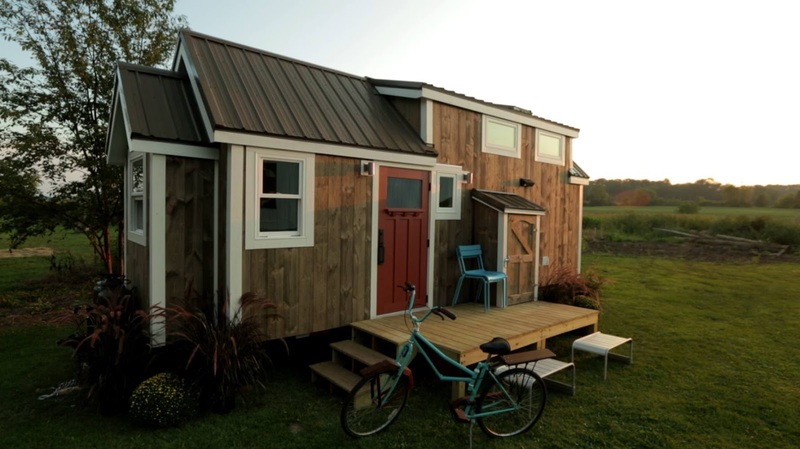 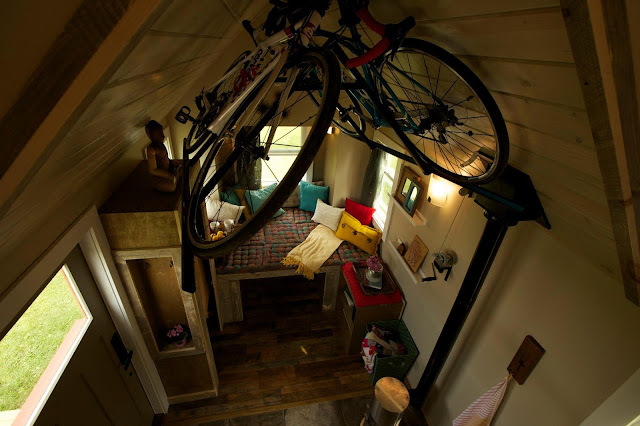 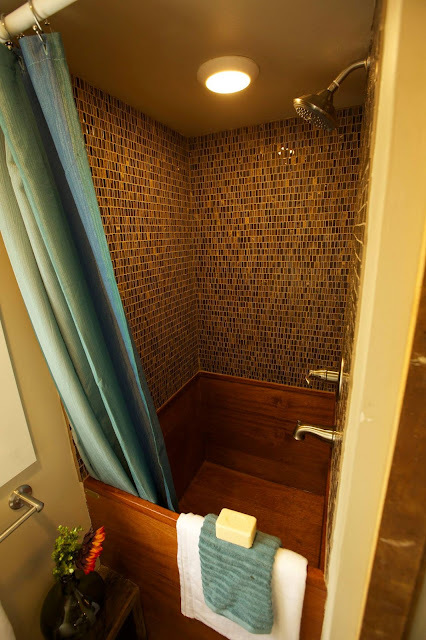 It measures 8’ by 24’ and has an interior size of about 192 sq ft, plus loft space. The home’s unique features include skylights, a Kimberly Wood stove, a built-in dog crate, a custom bike rack, and an add-on mud room.